To mark the NBA All-Star Weekend and 30 years of Nike's Jordan brand, AKQA has created an installation, inviting visitors to try and recreate Michael Jordan's most famous shots. "The Last Shot," installation features a 1,200 square foot responsive LED half-court, based at the Pearl Pavilion at Penn Plaza in New York City. Visitors can use the technology to virtually attempt Jordan's famous shots: the 1982 NCAA Championship, and the player's last shot as a Chicago Bull during the 1998 NBA Finals. There is also the option to freestyle. 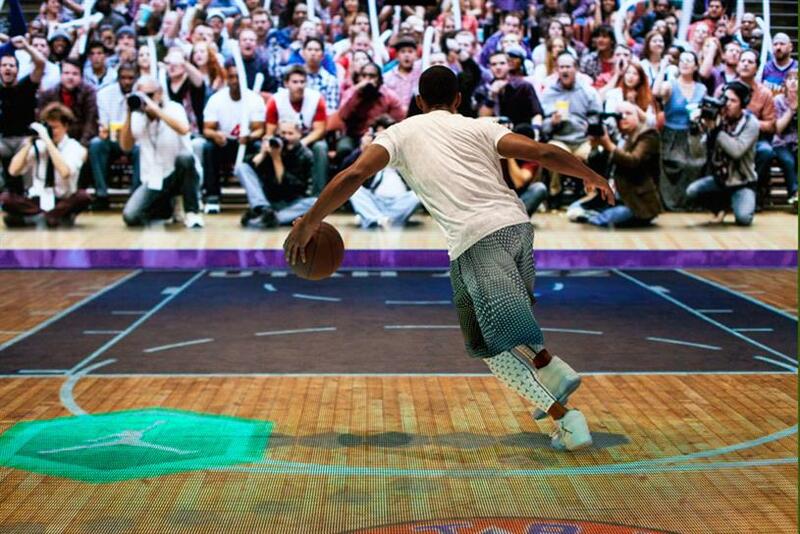 Hundreds of screens show a virtual audience reacting to the basketball skills on display. Each participant will be able to share stills and a video of them taking the shot on social media. The exhibtion begins with RFID wristbands, for a mobile experience that leads fans through shoe trials, history of Michael Jordan, slam dunk courts and digital photo booths.